Stick lives in a small town in Texas: she's tall, thin, gawky, and has no ambition or future. Then she meets Nicky who is handsome, sophisticated and introduces her to love and danger. When Nicky is arrested and sent into the army, Stick flees to New York to find him but instead meets a photographer who is determined to make her famous. She changes her name to Zoe and becomes a supermodel sensation, conquering each city her cover-girl image reaches - and everyone who meets her falls in love with her. 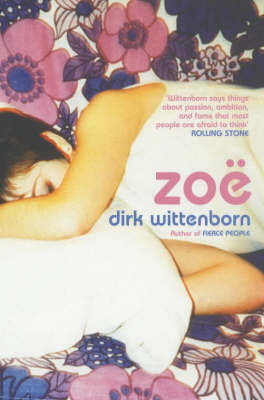 Suddenly Zoe has all the attention, money, fame and drugs a girl could want, but she doesn't have one thing: Nicky. Caught in a whirlwind, it seems as if Zoe will settle for the hollow pleasures of celebrity and glamour, until Nicky reappears, on the run.